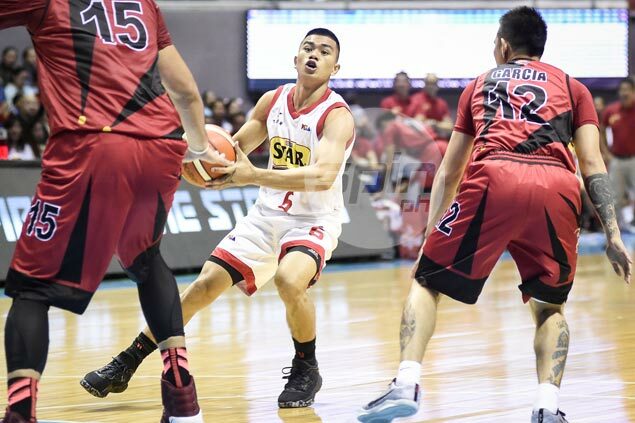 HE may have had a solid debut, but Jio Jalalon still found out how different the quality of play is in the PBA from the college ranks. The cat-quick Star rookie introduced himself in the pros by putting up 11 points, five boards, one assist, and one steal against three turnovers in almost 22 minutes off the bench in the Hotshots’ 88-96 loss to San Miguel in their Philippine Cup opener on Sunday night. Still, Jalalon said he realized how superior the play is in the pro ranks, where players are faster and stronger. Nevertheless, Jalalon loved every minute he was on the floor in his first game in Asia’s first professional league. Jalalon admitted he naturally had rookie jitters, before eventually settling down at the forefront of the Hotshots’ suffocating defense that gave the Beermen fits.